We at Virgo Technologies believe in an ever growing world in minimum time and minimum investment. So that our organization always invest in vibrant ideas and cutting edge technology to make intellectual capital base and provide free and cost effective business, career and other solutions. India Business Enquiry is a online Business Directory. Its free of charge where we provide complete company profile with catalouge to increase business revenue of related company. 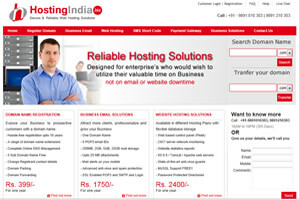 Hosting India is a complete shop for web services offer all the produsts & services like domain name registration, business email hosting, web hosting, short code, web designing, website development etc. Instant Jobs is leading job portal in India. News and Views is a online news paper where visitors can read latest national and international news on various topics.